Contemporary state capture is challenging the underpinnings of democratic liberties in Africa. As a result, this panel reflects on present-day indicators of state capture in its multiple forms in Africa (elections, military, finances or judiciary etc.) and its consequences on democracy. Though the concept of state capture is not new, contemporary cases suggest that the phenomenon has gained new impetus. This concept associates the problem of corruption intertwined with economic, social and political interests. There are a growing number of African countries such as Kenya, Madagascar, South Africa, Zimbabwe whose democratic institutions and economic structures are captured by differing actors. 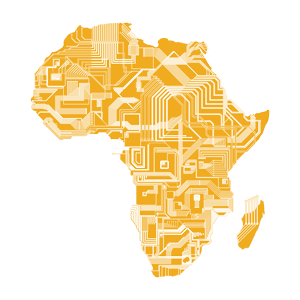 These agents are disrupting advances made in transitioning or consolidating democracies on the continent. They are also diminishing ordinary civilians' capacity to apply their civic rights of political participation. Instead those who capture the state are determining how the people are governed and by whom. State capture is challenging the underpinnings of democratic liberties. Because of this, it is therefore now necessary to reflect on present-day indicators of state capture in its multiple forms in Africa (elections, military, finances, judiciary or regulatory agencies etc.). This includes analysing the different phases of state capture and examining its consequences on democracy. The consequences of state capture can have long lasting effects on disrupting the advancements already made in Africa. However, despite the broadness of its application it is important to note, as Melanie Meirotti and Grant Masterson state in their book on State Capture in Africa, that state capture does not include all forms of abuse of power. Hence, this panel aims to encourage contemporary discourse on state capture and democracy whilst clarifying its definition.